2018 was a rocky year in politics that saw some of the biggest world markets, from America to Europe, being negatively affected overall. Malaysia’s own economy was not exempt as we saw steady Ringgit devaluation against the US Dollar in the latter half of the year. Though much of the predictions from early last year were pointing to a potential resurgence of gold as a way for investors to protect against any shocks to the market, the global economy seemed to make it through the year with only relatively small bumps and bruises along the way. However, with December ending in a partial United States government shutdown, as well as a much bigger possibility of a no-deal Brexit looming over the United Kingdom and Europe, these global stressors have carried forward into 2019 and seem only to have built up the uncertainty that now surrounds the world’s financial system. As traders and investors prepare for the uncertain year, there is a higher likelihood that gold might be the right place to put your investments, but what could that really mean as the year unfolds? Historically, gold has often been the safe haven of choice for investors, a way to protect their wealth against the often unpredictable and risky investment markets. During the global financial crash of 2008, gold was one of the few assets to come out of the recession with positive growth, a characteristic that this precious metal has enjoyed for a couple of millennia as one of the oldest stores of value that humanity has used throughout history. 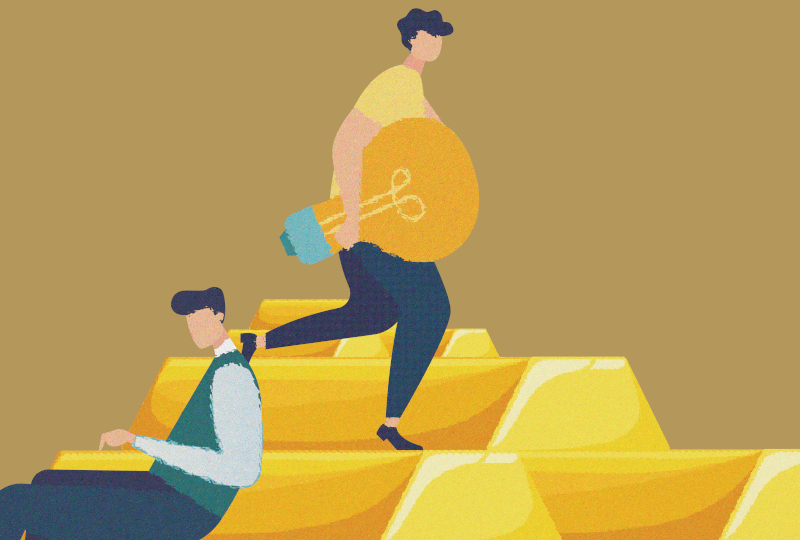 For most of us, our first exposure to gold is often in the form of jewellery and, according to Robin Lee, CEO and co-founder of HelloGold, it is often the only way to access gold investments for most of the world’s population. “Historically, in a lot of cultures and markets, people bought jewellery as a proxy for investment; they carry it on themselves because it’s safe and you never lose it that way”, he says. “Even today, that’s predominantly true especially in places like India because a lot of people don’t have access to bank accounts or wealth managers, so they have no choice but to buy jewellery – it’s the only way they have access to gold. Unfortunately, if you aim to buy gold as an investment product, then gold jewellery is one of the most inefficient ways to invest”. “There are additional costs to buying a gram of gold at a jeweller, and customers would have to pay more because of costs involved to make that gram of gold, including manufacturing and moving from the refinery to the wholesaler to the retailer. As a financial product, you’re investing in something that is worth less than you’ve paid, which is inefficient.” Lee, along with co-founder Ridwan Abdullah, runs HelloGold, an app-based, Shariah-compliant gold investment and savings product that allows the middle and lower-income groups to invest in gold from a minimum of one ringgit. And though gold has become more and more in demand for its uses in electronic products, these typically do not affect gold prices in a way that makes it a high-return investment. But what differentiates gold from the other metals and commodities on the investment market is the same thing that makes it a stable wealth savings option – the unlikelihood of it fluctuating. “If you look at the long run of gold performance, it typically returns around the rate of inflation. In that sense, gold, in the long run, does well but it’s not something that works in the short-term,” Lee explains. “The greatest demonstration of that is India and China, the two single largest markets for gold in the world, contributing 50 per cent of annual gold demand. That’s the first aspect, while the second aspect is at a national level, where emerging markets’ central banks are becoming net buyers of gold because of all the risk associated with the US Dollar economy and the need to diversify away from a dependency on US Treasuries. A lot of these central banks are buying gold now and it will continue to happen in the short run, with all these inherent global tensions,” Lee says. Historically, these behaviours are what keep gold in a stable position. So what does it mean when gold prices jumped up 10 per cent and reached a 15-month high as the markets closed in the last week of 2018? 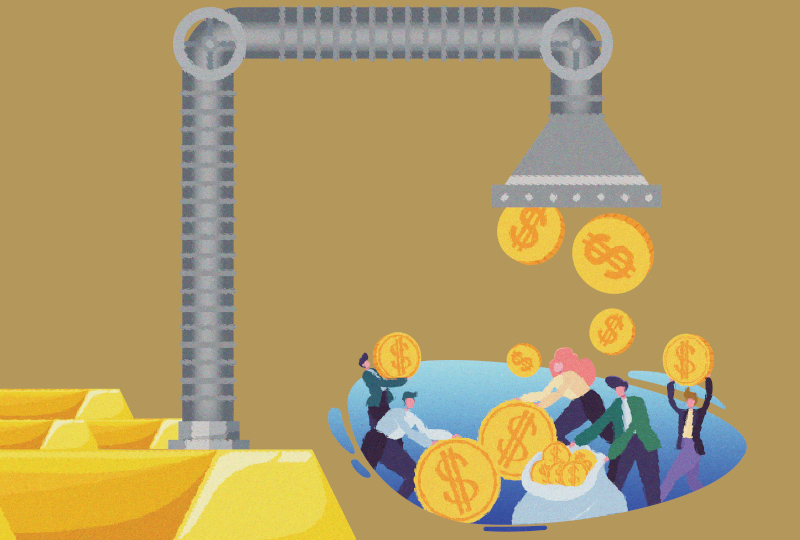 With the volatility of many world markets coming to a head, investors would turn to two common safe havens of investments, the US Dollar and gold. “Looking at different stores of value, they are most commonly gold, land or foreign currencies. Many large companies would store wealth in the US currency because it’s normally a good indicator and benchmark as far as world economies are concerned,” Foo explains. If we take in the fact that gold prices have increased and President Donald J Trump harbours a not-so-secret lack of trust in his own US Federal Reserve (as he often points out on his Twitter account), it is clear that the safe haven of choice in today’s situation is gold. For many, it’s a sign that the time is right for investors to start thinking about de-risking their portfolio and moving towards something a little more stable. For Lee, this year’s prospects carry the rumblings of a financial crisis. Other analysts are looking at 2020 as the year when the market inevitably collapses. As Phillip Inman points out in his report for The Guardian in January, large consumer and corporate debt levels, and the increasing borrowing rates that banks are implementing to counter their effects, are pushing people to spend less. Though the conditions are slightly different, these behaviours are similar to that seen prior to the 2008 recession. All is not lost, however, as these predictions have yet to come true and the natural next step is to decide what we can do to prepare for the rough patches that might come. Foo suggests that the best way to guard against big hits to your portfolio would be to diversify. “My advice is to start investing in many other countries, like Australia or Sweden. So, instead of thinking that your alternative to investing in Malaysia is to move all your money into gold, which is low-return, it should be more holding gold as a certain cut of your portfolio, and spreading out the rest into other markets.” Ridwan Abdullah of HelloGold, says: “Investments for gold. It’s a largely unexciting asset, and if you hold gold on a long term, then you should generally see it track inflation.” And in a year rife with uncertainty, the unexciting nature of gold might just be the best option. diversification tool, the ultimate insurance policy, particularly during moments of severe financial stress in the world market,” Lee adds. So, as we hanker down to prepare for what the year might bring for the global economy, looking to gold to safeguard us from the unexpected might be the right thing to do to get us past the next 11 months. But for those willing to take it, there’s always more to gain when you take a little risk.